The USA it returned to send to the Mediterranean Sea its aircraft carrier USS Harry S. Truman, used in April to launch a missile attack against the Syrian Army. 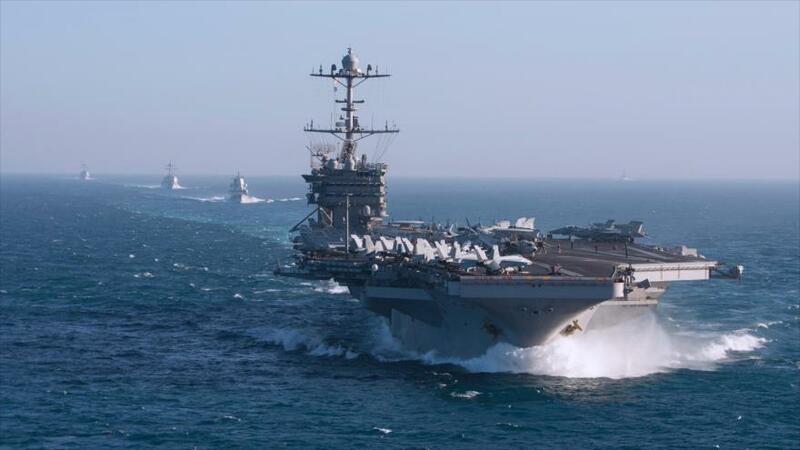 The website of the US Navy reported Monday that a naval attack group, composed of dozens of planes and helicopter gunships, arrived on Sunday in the eastern Mediterranean Sea, near the Syrian waters. The note highlights that the group of fighter jets, led by USS aircraft carrier Harry S. Truman (CVN-75), has the mission to return to participate in the air offensives against the positions of the terrorist group ISIL (Daesh, in Arabic) in Syria and Iraq. “This shows a powerful signal to our partners that we are committed to maintaining peace and security in the region and everywhere there is a threat of terrorism,” the US Navy says in its note. The US Navy orders this military deployment, claiming to support the fight against terrorism in Syria and Iraq; however, US military sources have previously revealed that the presence of aircraft carriers and other US vessels in the Mediterranean is a measure to counter the “challenges” of Russia. 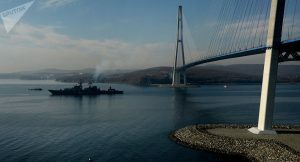 According to previous reports, the United States, along with the United Kingdom and France, launched on April 14, from destroyers of the aforementioned group of attack of the Harry S. Truman several missiles against positions of the Syrian Army, to which they attributed the authorship of an alleged chemical attack, registered in the city of Duma, in the region of Guta Oriental. The Syrian government rejected any involvement in that chemical attack and researchers from the Organization for the Prohibition of Chemical Weapons (OPCW) have not yet confirmed the existence of that incident. Both the Government of Iraq and the Syrian Government question the effectiveness of the activities of the US and its allies and criticize it for having caused many civilian deaths and infrastructural damages. In addition, Washington has been accused of helping extremist factions and trying to stop the advance of government forces against terrorists.